With Bill English and Jacinda Ardern going head-to-head in the first leaders' debate tonight at 7pm on TVNZ 1, the cards are firmly stacked in Jacinda Ardern's favour to come out on top. 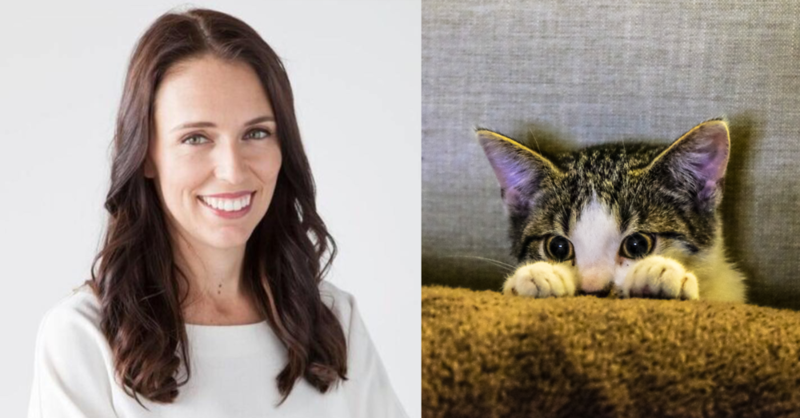 A formidable debater in her own right, as well as presenting well on TV, Jacinda could eat a kitten during the debate and still be judged to be the winner. I don't write that to be cynical, but rather it's a reflection of the advantages that Jacinda takes into tonight's debate. She's riding a wave of extremely positive media coverage, Labour has bounced back spectacularly from the brink of oblivion in less than a month of her leadership, and she has the intelligence, she has the ability, and she has the charisma to deliver her a clear win tonight. Bill English does bring his own strengths to the debate. His knowledge and command of policy is almost unparalleled, and other than lingering issues over the Winston Peters' pension story, comes into the debate fresh from a run of good policy announcements, and Bill is one of the best debaters in Parliament. Where it starts to get interesting is that while Bill has to both defend National's record over the past nine years, but also argue for why National deserves an historical fourth term. Jacinda gets to attack National's record without the burden of having been a party of Helen Clark's Labour Government, which seems to have been an issue that weighed down both Goff and Cunliffe, as well as relentlessly promote Labour's vision for New Zealand. I've written before about the importance of values and identity in determining who voters are going to favour. I think that's really going to come to the fore in tonight's debate. Debate viewers will want to hear what Jacinda's values are, and what her vision is for the country is and addressing the key issues facing New Zealanders. They won't necessarily expect policy specifics from her, though she'll have a few to offer. Policy will play a less important role in this first debate as, despite all the media coverage, she's still an extremely new leader for Labour and many will still be wanting to see if she understands their concerns, and if she shares their values and identity. Voters will be willing to give Jacinda and Labour a chance if they believe they'll do the right thing by them, even if they're not entirely sold on, or aware of Labour's policies yet. Bill, on the other hand, faces a different challenge. While being Minister of Finance for eight years meant he was largely in John Key's shadow in terms of public life, those watching tonight have known Bill for a relatively long time. Whether it's from his time in the previous National Government, his prior leadership of the National Party, or the past nine months as Prime Minister. Viewers generally already know who Bill English is, what his values are, and whether they think he understands the issues facing them. What they want to see from this debate is what he's going to do about those issues that are important to them. Bill has to be able to articulate policies in a way that not only engages viewers, but also convince viewers that a fourth-term for National is a better alternative than giving Labour a crack. This is where Bill's problem lies. Television debates are not good platforms to talking about policy, and they are fantastic platforms for vision and value statements. In the cut and thrust of a debate, policy specifics get lost as people, especially commentators, focus on style over substances, and the eternal quest for that one zinger that finishes an opponent off. On the topic of debate zingers, I fear National and Bill may have already used their best one too soon. I can see why they used "Hard working New Zealanders are not an ATM for the Labour Party" at the campaign launch to rev up the party faithful, but it's also the sort of line that would have put Jacinda on the back foot during a debate in a similar manner to how John Key's "Show me the money" line badly tripped up Phil Goff in 2011. One clear way for Bill to halt Jacinda's momentum would've been to deliver that line during the debate, where it would be a an attack on the Labour Party and it's policy rather than attack Jacinda personally. Jacinda and Labour have approached these debates very carefully. Jacinda was essentially missing in action from Parliament during the final two sitting weeks as Labour purposefully kept her away from Question Time and General Debates on Wednesdays. Their logic was simple - to deny Bill a chance to spar one-on-one with Jacinda during Question Time so he would be less prepared during the debates. Jacinda had to be in Parliament on Tuesdays for Labour's caucus and to make an obligatory appearance in Question Time, but then hit the campaign trail early. The other point to note is that in first debates it's usually the challenger who wins. David Cunliffe managed this in 2014, Mitt Romney did so against Barack Obama in 2012, and John Key did the same to Helen Clark in 2008. Incumbents often bounce back in the second debate, as those examples also demonstrate, and by the third viewers are probably sick of debates!